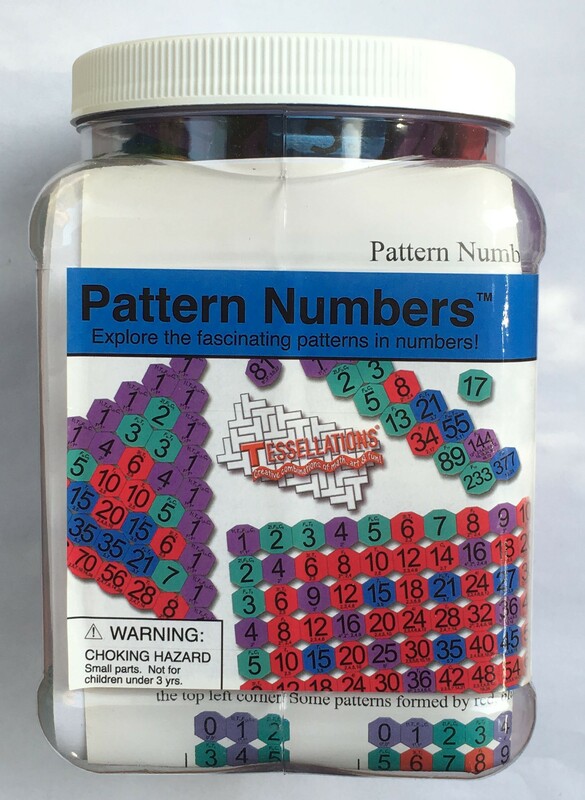 This set teaches about the properties of numbers and uses coloured tiles to illustrate patterns formed by numbers. Colours indicate which numbers are squares, primes, even numbers that aren't squares, and odd numbers that are composite (not prime). The individual tiles contain information about the number on the tile, including its factors and whether it is a factorial, triangular, Fibonacci, or Catalan number. The tiles are shaped to allow vertical alignment of rows or staggered rows for optimal display of various configurations: counting by different numbers, the multiplication table, Pascal's triangle, triangular numbers, Fibonacci numbers, and more. Contains 186 magnetic foam tiles, colour instructions, and eight reproducible worksheets.